At least one of these teams won’t make the cut. Even when TSM and Cloud9 aren’t competing with one another for the NA LCS title, which they’ve done nearly every split since 2013, they’re fighting for something just as important—a Worlds slot. It’s true that TSM fell short of yet another finals this year, and it’s true that the championship escaped C9’s grasp for what seems like the hundredth time. But they can’t relax yet. After the end of the LCS playoffs in Oakland last weekend, 100 Thieves locked in the second seed for North America at Worlds behind Liquid. This weekend, the regional gauntlet starts to determine the final seed, and C9 and TSM will have to battle for it. Almost more importantly, this means that one of these accomplished organizations won’t make the cut. There’s more than just a Worlds seed on the line here, too, although that’s definitely the focus. Both of these teams have experienced a very similar road so far this year, with an abysmal Spring Split and a miracle-level comeback run at the end of the Summer Split. C9 have the edge heading into the tournament for several reasons. For starters, they ended the split as runners-up while TSM ended third. 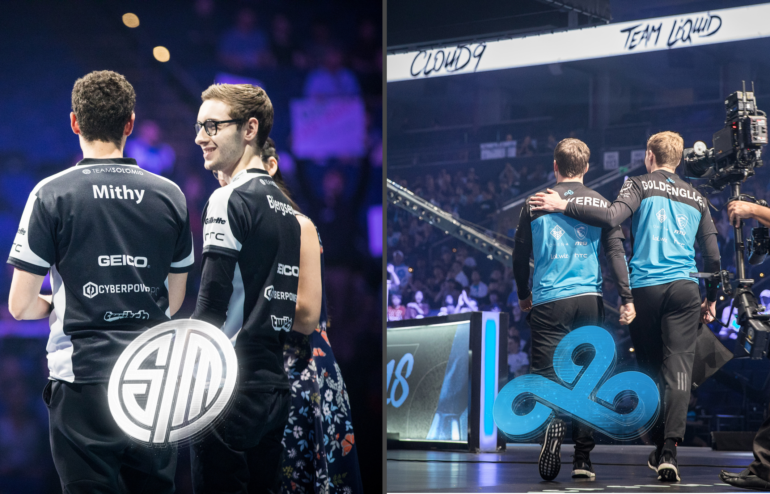 While C9’s year has been similar to their rivals’ in terms of the storyline, they’ve been all-around more successful than TSM in 2018, including their end to the regular season. Because of all this, C9 sit atop the gauntlet with the least resistance, while TSM will need to face the winner of Clutch Gaming and Echo Fox today. Sure, we doubt TSM would lose to either of those teams, but it’s still possible. On top of that, C9 are used to being in the gauntlet. Last year, C9 were in the exact same position, and they won the final round of the gauntlet, went to Worlds, and ended as the only North American team to make the knockout stage. Unfortunately for TSM, there’s also more weight on their shoulders. For better or worse, C9 are used to being here and barely scraping by into Worlds by the skin of their teeth. In other words, it’s just another day in the life of Cloud9. For TSM, though, they’ve disappointed their fans plenty of times this year, and this is, for all intents and purposes, their last chance. They couldn’t make semifinals, then they couldn’t make finals, and if they don’t make Worlds when it’s so close to their grasp, it would be devastating for the TSM dynasty’s reputation. The gauntlet begins today at 4pm CT with Clutch and Echo Fox’s best-of-five series.